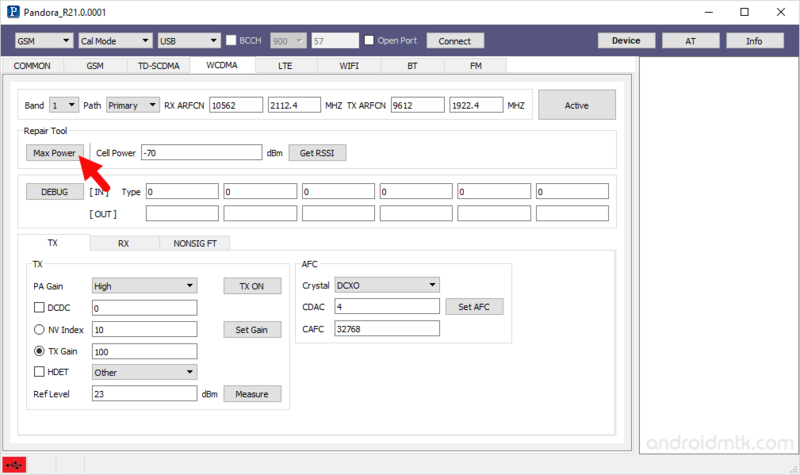 These are the instructions to use Pandora Tool to calibrate the RF Parameters of your Spreadtrum Smartphone and Tablets. 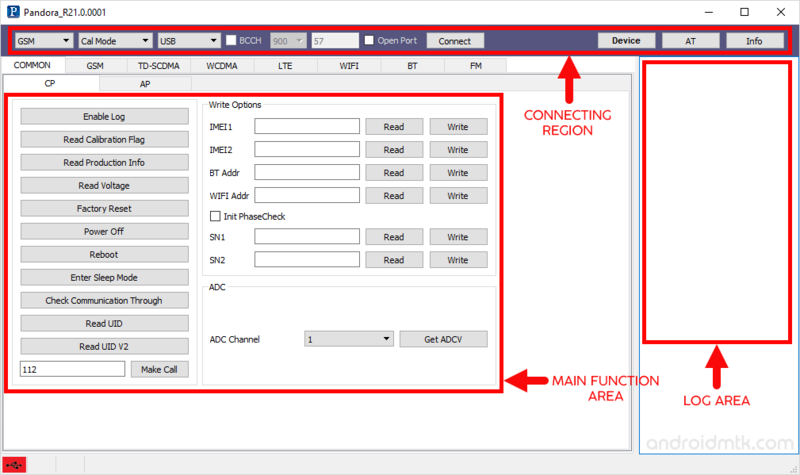 Requirements: You need to have a Physical Spreadtrum Smartphone or Tablet to Follow the Following Tutorial. 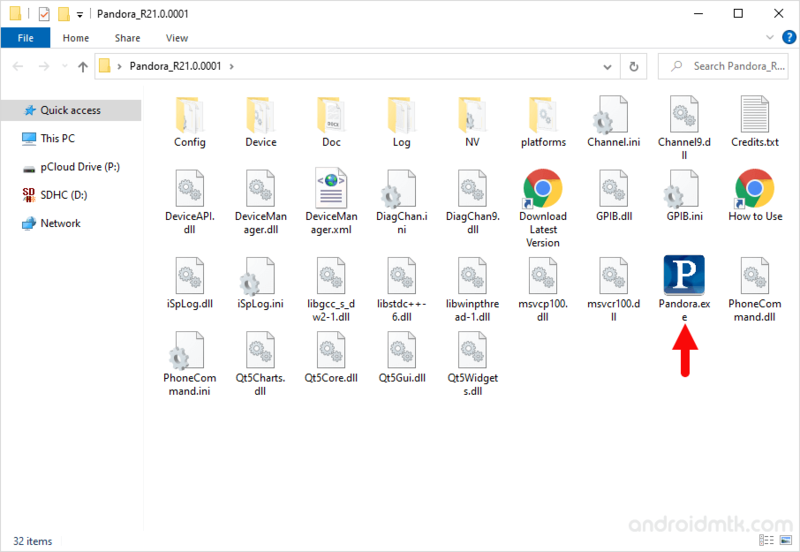 If in case your device is not powered by Spreadtrum Chipset then this tutorial will not work for you. Step 1: Download and install Spreadtrum Drivers on your Windows Computer. If in case drivers are already installed on the computer then SKIP this step. Step 3: Now, Open Pandora.exe to Launch it. Step 5: In Pandora Tool there are Three Main Areas: Connecting Region, Main Function Region, Log Area. Step 6: Now, Click on the device Button to configure the meter and power supply of your Spreadtrum device. Once you are done with the configuration, Click on the OK button to close the Dialog Area. Step 7: Now, you need to Configure the Standard to connect the device to the Computer. 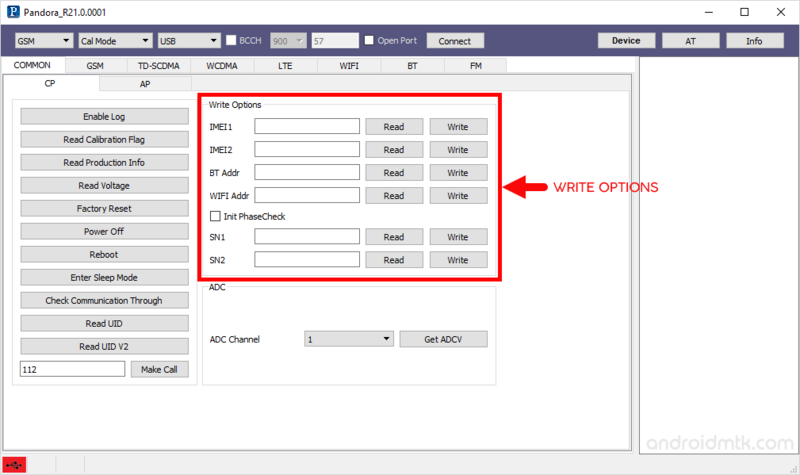 You need to Select the Device GSM Type (whether it is GSM, TDSCDMA, WCDMA, LTE, BBAT) then you need to Select the Mode: Cal Mode or Cal Post Mode. Cal Mode is also known as non-signaling mode which helps in calibration and non-signaling FT.
Cal Post Mode is known as Mode Signaling which helps to calibrate Signaling comprising the FT. 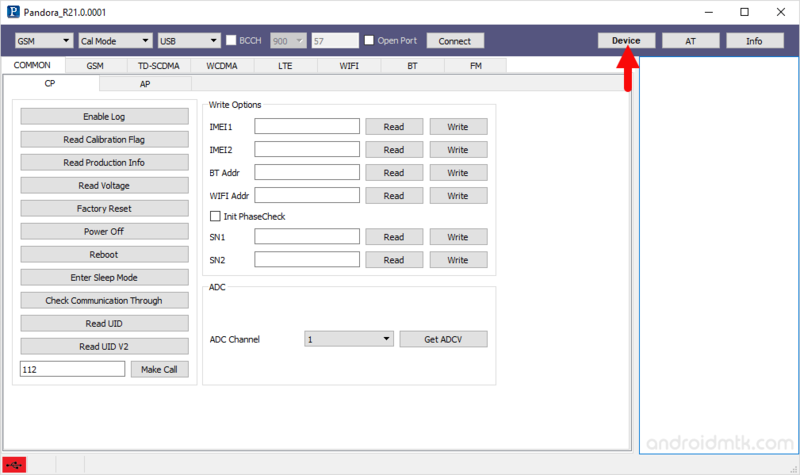 Step 8: Once you have selected the Mode, Select the Connection Type as USB or COM1 or COM2. 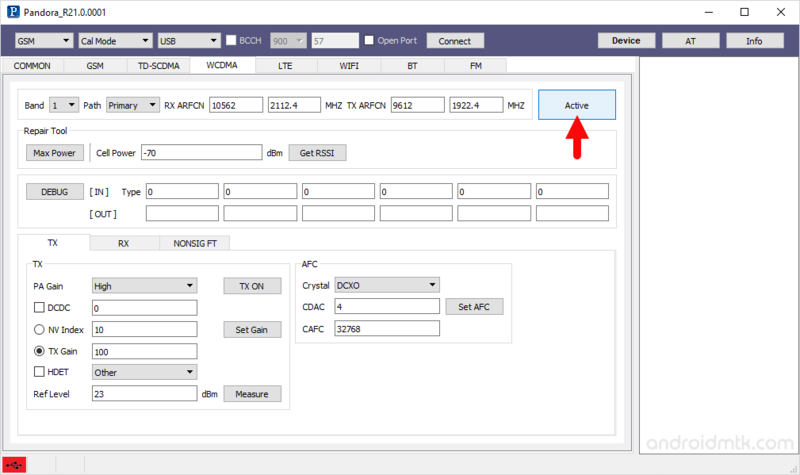 Then Click on the Connect button to Connect your Spreadtrum Device to the computer (during this process you need to physically connect your device to the computer with the USB cable and your device must be in Download Mode (Volume Down + Power Button) to get it detected by the tool). 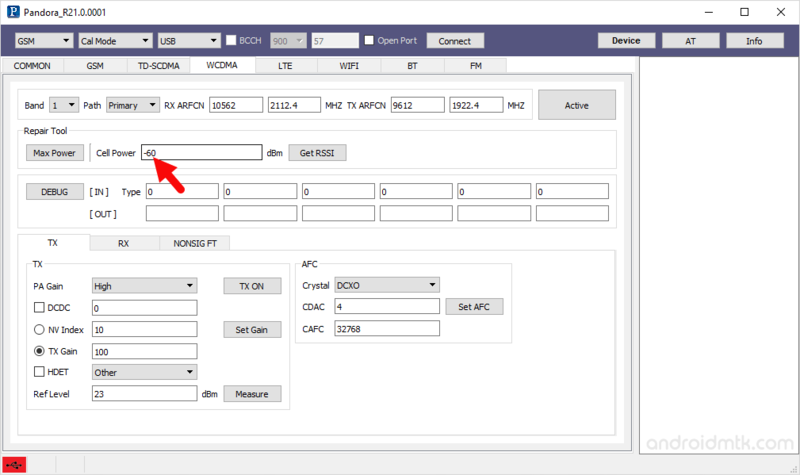 Step 9: Once your device is connected to the computer successfully, Click on the AT Button to send Command to the Spreadtrum Device. 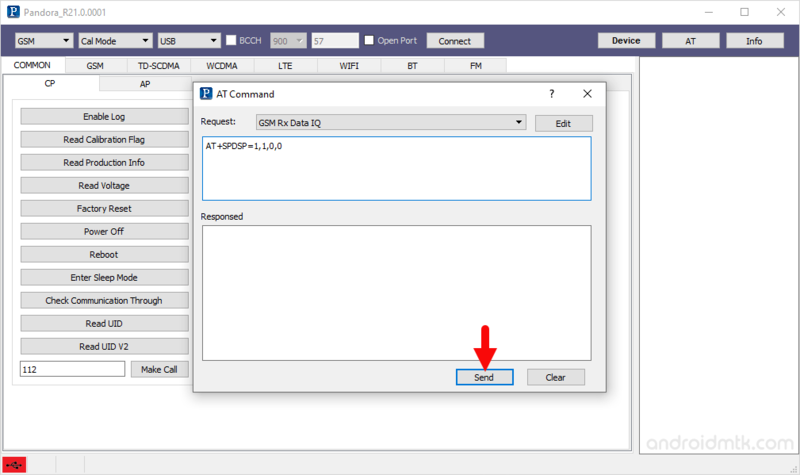 Step 10: Once AT Command Dialog box is launched, select the Request Type from the Drop Down Menu and Click on the Send Button. After Clicking on the Send button, Response from your Spreadtrum device will be displayed in the Responded Area. Step 11: Now, Under the Common > CP Tab you will be able to see the Write Options. 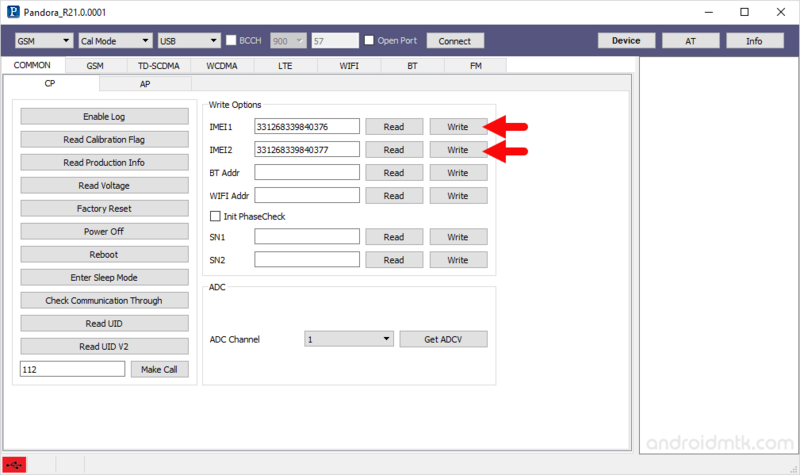 The Write Options allows you to Write or Read the IMEI, BlueTooth, WiFI Address on your Spreadtrum Device. 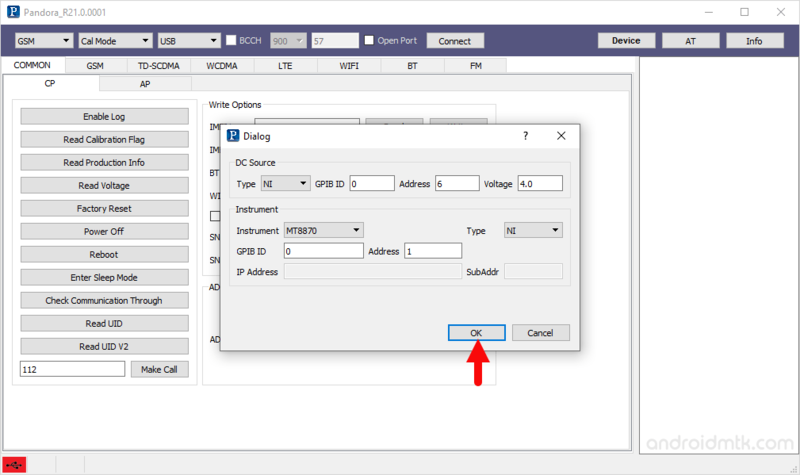 Step 12: Now, Enter the IMEI in the IMEI1 or IMEI2 Area (as per the availability of the SIM card slots on your Spreadtrum Device). Then Click on the Write Button to Write the IMEI on your Device. You can do the Same Step for writing the BlueTooth and WiFI Address. 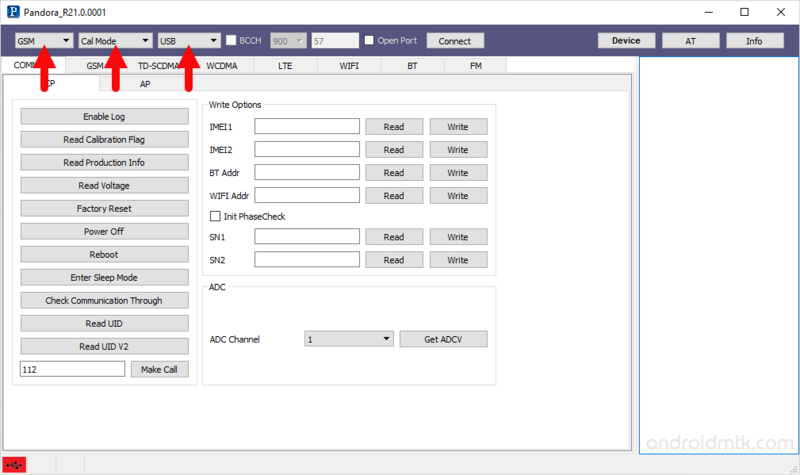 After Selecting the WCDMA as example, you have to click on the Activate button. Step 14: Now, Click on the Max Power Button. It will display the maximum Power of your device in the Log Area. Step 15: Now, using the Cell Power Option you can adjust the Power of your device. Thats all. Pandora Tool also comes with additional features including Reading Calibration Flag, Read Production Info, Read Voltage, Factor Reset, Power Off the device, Reboot the Device, Enter the Sleep Mode and Read the UID. [*] Pandora Tool can be used for conventional operation of the mobile phone, comprising GSM, TDSCDMA, WCDMA, LTE, WIFI, BT, FM radio and reading various debug serial number, ADC reading and writing. [*] Caution: Writing the IMEI or Adjusting the Cell Power can cause personal data loss. Therefore, we recommedn you to take a backup of your personal data before using the Tool. [*] IMEI Write: Spreadtrum Inc also released official Write IMEI Tool which allows you to quickly Read and Write IMEI on your Spreadtrum Devices. You can Download the Write IMEI Tool from here.